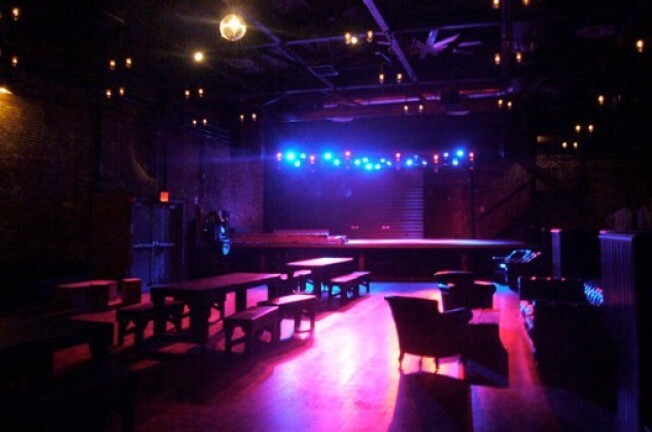 Williamsburg: Last week, the folks over at the massively delayed mega-venture Brooklyn Bowl sent over a few pics of their finished giant space. But it was only a few nights ago that we got to see the finished product in action. Rock music played over the speakers, a disco ball spun near the giant stage, and the flat screen TVs mounted by the ends of the lanes projected weirdly mesmerizing scenes of the ocean. Upstairs, the greenroom for bands is equipped with a full shower and soon, a private roof deck. Our assessment: if this place isn't outrageously priced (no word yet on menu, show, or lane prices), it could be a fun hipster-fied, Dave and Busters-esque alternative to the Gutter and maybe even a go-to for the people that will supposedly move into The Edge and Northside Piers. The certificate of occupancy finally came through yesterday, they're picking up their liquor license today, and they're going to fire up the grills (Blue Ribbon is in charge of the food) asap. It should open to the public in the next couple of weeks.